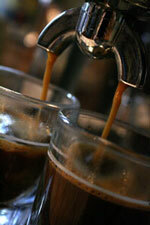 Light and dark roast South American coffees create a more traditional tasting espresso. The flavor is full with a slight sweetness but not heavy. The aroma is rich and balanced.